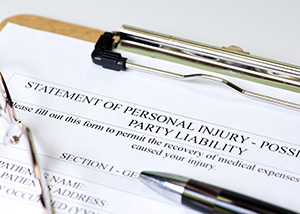 Personal injury cases can be extremely frustrating. Having to deal with companies that are unwilling to pay for injuries they are responsible for can make your blood boil. Luckily, you don’t have to go at it alone. We, at The JW Law Firm, believe that people who act negligently and put others in harm’s way need to be help accountable for the damages they cause. Our lawyer will help you through these trying times and see that you receive just compensation. We will launch a full investigation into your accident and write up a demand of payment, tailoring the law to meet the facts of your case. We know how to evaluate your case and get you the settlement you deserve. If the other party refuses to settle, we’ll take it to court. Car accidents are far too often caused by the negligence of another driver. You shouldn’t have to suffer the costs. We’ll make sure you get the compensation you deserve. Trucking accidents have the potential to cause a colossal amount of damage. Immediately we are retained, we send a spoliation letter to the other driver’s insurance company. In this letter, we demand that the insurance company does not alter or dispose pertinent information including fixing their truck. By law, they must preserve such information and furnish it when properly requested. Motorcyclists are often treated unfairly because of the inherent danger of riding a motorcycle. Still, you shouldn’t have to pay for damages caused by another person’s negligence. Property owners are responsible for making sure their property is free of danger or hazards. If they do not uphold that responsibility and an injury is caused because of it, you should seek compensation. Health providers are expected to heal, not hurt. In fact, they have a duty to preserve life and provide adequate and proper care. When they administer treatment below the standard of care, causing harm to your person, you should seek redress.